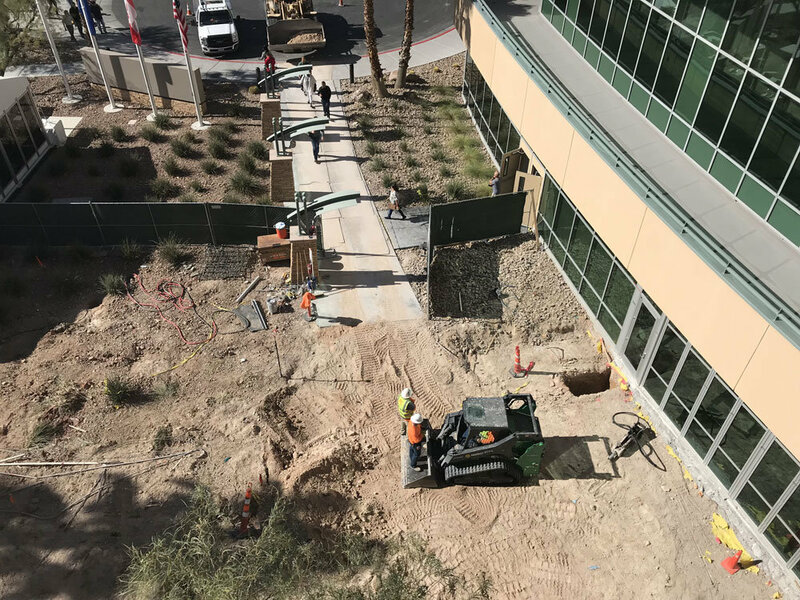 The expansion of the front-entrance during construction. As the United Brotherhood of Carpenters and Joiners of America (UBC) continues to grow, the Brotherhood continually reflects upon our mission; “leading the way in training, educating, and representing the next generation of skilled construction professionals.” To continue upholding this mission as the union expands, major renovations were put into place at the member-owned International Training Center (ITC) facility in Las Vegas. The ITC first opened in 2001 and is the largest and most comprehensive training facility of its kind in the world, designed and constructed to develop and improve the skills of members. From the updates and additions in this sixth expansion, the UBC will be able to invite more members and trainers to the facility, enhancing the experience of every trainee who comes through the doors. More than 15,000 UBC members participate in leadership training programs at the ITC each year. A key part of running a successful training facility on this scale is making travel and accommodations convenient and accessible. Not only is the ITC busy with many visitors, but it’s also conveniently located next door to the McCarran International Airport. Two intuitive additions to the campus include a brand new Tru by Hilton hotel and the main entrance registration lobby that has expanded by 2,000 square feet. The ITC has also expanded to accommodate the growth in training programs. 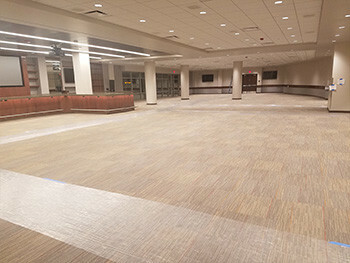 To further enable the facilities to house large amounts of trainees, more dorm rooms and restrooms were added around campus, and the lounge has almost tripled in size. With these additions, the ITC training experience will be better than ever. From the general executive board to the instructors, members, and signatory contractors, we are fully invested in the future of our crafts. As the years go by, the UBC will continue committing resources to meet the needs of our members, keeping union carpenters and our business partners competitive. The Brotherhood is proud of the immense value the ITC creates for members, their families, and their careers. 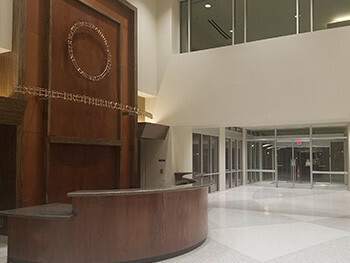 The updated main entrance registration lobby which expanded by 2,000 square feet. The updated lounge which almost tripled in size from the recent expansion. 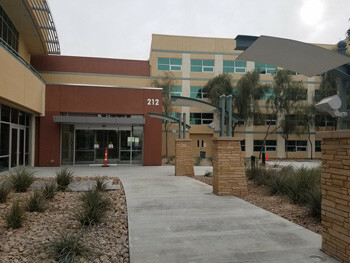 The front entrance of the ITC was updated to accomodate the additional space in the lobby.